Looking for a Microblading Course? Debbie Foster’s Aesthetics Cheshire LTD is a privately run college, established over 20 years ago. It has creative teaching and learning schemes in place, which are significantly different from the learning environments and teaching structures of conventional Further Education Colleges. The School specialises in offering one-to-one and small group training on a part-time basis. We offer a fantastic range of Microblading courses at Aesthetics Cheshire Limited in Northwich. You can find more information about our classes here. Microblading is a semi-permanent tattooing technique (also commonly referred to as SPMU) that creates hairlike strokes to fill in thinning or sparse brows. 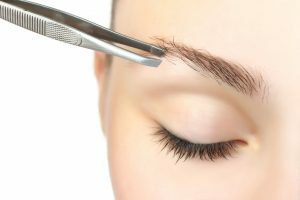 You may have also heard people refer to Microblading as micro stroking, eyebrow tattooing or eyebrow embroidery. It’s a popular and lucrative treatment that allows you to design your customers desired brow shape, giving an effortless full brow – removing the need for expensive brow gels or pencils! You can find out more about microblading here. Why should I take a Microblading course? Thanks to countless celebrities over the last few years, brows are now big business. The growing demand for great looking brows means that there is a vast, almost never-ending, number of potential customers. Once qualified treatments by accredited and insured technicians are charged at between £300 and £1000, depending upon the microblading technicians’ reputation and location. It is a competitive market and you need to be the best at what you do – especially if you want to drive repeat business and referrals – and that is where we can help. Advanced Aesthetics trainers are experts in delivering Microblading courses and support with post-training. Why should I choose Aesthetics Cheshire Limited? Our Microblading courses are industry leading and trusted by Aesthetics Practitioners across the World. The proof is in the pudding and we have thousands of satisfied students who have taken a Microblading Course. Our Aesthetics trainers are of the highest calibre and are passionate about ensuring all the students that undergo Microblading training get the skills and confidence boost they need to be very successful within the industry. They will also teach you all the latest Microblading techniques to ensure you provide the best quality work for your customers. If you are serious about a Microblading career or just want to add it to your list of other aesthetics treatments, then Advanced Aesthetics Training is the choice for you. We will help you start your business or take your existing business to the next level with post-training support. What will I learn on the Microblading Course? Where are the Microblading courses held? All our cosmetic courses including microblading are held in our training centre in Northwich, Cheshire. Easy access from Chester, Manchester, Birmingham and Liverpool via Northwich or Hartford train stations. Which Microblading Course would you recommend? The Advanced Aesthetics team of expert trainers will share their experience and knowledge in performing cosmetic procedures and creating successful aesthetics businesses with you. They will make sure you have everything you need to know during and the team will offer support post-training to ensure your Aesthetics Business gets off to the best start possible. We have nurses, doctors and beauty therapists travelling from all over the UK – including Birmingham, Manchester and Liverpool – to undertake our industry-leading Microblading course. Ready to go-to microblading school? So whether you are a Nurse, tattoo artist, a permanent makeup artist or a beginner, we will give you all the training you need to become a successful Microblading technician. Our Microblading course is considered to be the most comprehensive Microblading course available, with hands-on training as an integral part of the program and testing to ensure each trainee practitioner has satisfied the requirements for certification. Discover our range of Aesthetics training courses here.